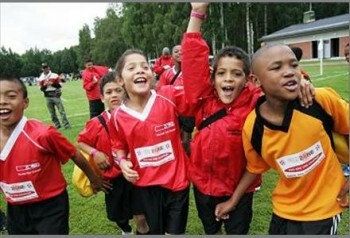 LifeZone Soccer » About LifeZone Soccer: You are the Change! About LifeZone Soccer: You are the Change! South African Police Services (SAPS) and Life Zone: 9 March 2013 and beyond! While the organization has been active in the community since 1996, the Life Zone Schools’ Soccer Model (under 7′s to under 13′s) was launched in February 2006 in the Maitland Schools’ Sports Cluster by Jeremy Wyngaard who was supported by volunteers from the Factreton community. Jeremy, a former professional soccer player in the 90′s with Hellenic and Santos, and now a Research Associate at Stellenbosch University’s Theology Faculty (www.sun.ac.za) is the Director of this program. He was also a provincial Events Coordinator for Dreamfields Project (www.dreamfieldsproject.org) between 2008 and 2017. Since 2000, Life Zone’s ultimate goal was to build a “Dream Centre” for the Factreton-Kensington community, a venue comprising of at least one full-sized artificial soccer field and a fully equipped 200m indoor athletics track. Copyright 2008 LifeZone Soccer. All rights reserved. Designed and hosted by Dwakn.